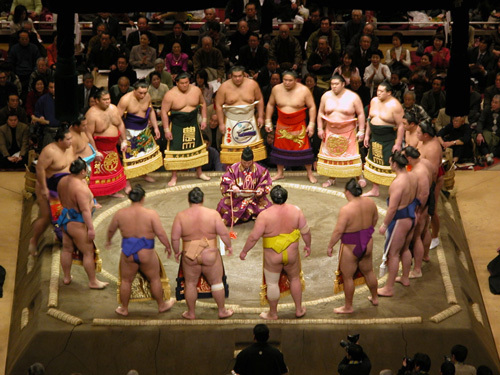 Despite their heavyweight name, SUMO proteins are a family of small proteins found in our cells, which, by sticking to other proteins, can regulate all sorts of cellular goings-on. For example, sticking a SUMO protein onto another protein can shuttle it to a different location in the cell, or alter how it works. And there’s tantalising evidence that SUMO proteins are involved in the repair processes that patch up our DNA during daily wear and tear. Given that damage to DNA can lead to cancer, understanding how SUMO proteins are involved in DNA repair could yield clues in the hunt for new cancer treatments. Two new papers published today in the journal Nature, from researchers funded by Cancer Research UK and the Breast Cancer Campaign, help to unravel the mystery of SUMOs’ involvement in DNA repair. The first paper under the microscope is from Professor Steve Jackson and his team at the University of Cambridge, who Cancer Research UK have funded for more than 15 years. Jackson is a world-leading expert in DNA damage research, and has made many significant discoveries in the field. Lately, his team have been searching for proteins that spot DNA damage in the cell and help to recruit molecular ‘repair kits’ to fix it. They’ve been mainly focusing on “double-strand” DNA breaks – the most serious form of damage, where strands of DNA are completely snapped in two. This type of damage is a big problem… imagine tearing a book in half – pages start to fray, some fall out, and it’s a nightmare gluing the halves back together. Similarly, double-strand DNA breaks are really difficult for our cells to repair – and there’s a risk that the wrong ‘ends’ will be stuck together. Jackson studies these breaks by inflicting them on cells, either with radiation or with a highly targeted laser. And to study the role of SUMO proteins, his researchers have ‘tagged’ them with colourful, glowing markers. This allows the researchers to watch them moving around the cell with powerful microscopes. Jackson’s team found that after double strand breaks occur, SUMO proteins flood into the sites of the damage after just a few minutes, stay there for a couple of hours, and finally drift away. These experiments reveal that SUMO proteins appear to have an impressive ability to home in on double-strand breaks in DNA, and help to recruit important repair proteins. When their work is done, they just detach and move on. The team also discovered that two additional proteins called PIAS 1 and PIAS4 are needed to attach the SUMO proteins to sites of damage – the first time a role has been found for these molecules in DNA repair. The second Nature paper, from Dr Joanna Morris and her team at Kings College London, delves deeper into SUMO proteins’s relationship with one of the biggest players in double-strand break repair – BRCA1. BRCA1 is a protein made by the well-known BRCA1 ‘cancer predisposition gene’, and may be familiar to regular readers of the blog – for example, in this post about the “BRCA-free baby”. Inherited faults in BRCA1 cause breast, ovarian and prostate cancer – without this crucial gene, cells cannot repair their DNA properly and become cancerous. Dr Morris and her team discovered that, somehow, SUMO proteins gets stuck onto BRCA1 protein in response to DNA damage, dragging it into affected sites. Further experiments confirmed that PIAS1 and PIAS4 – the two proteins Jackson’s group identified – are responsible for sticking SUMO proteins onto BRCA1 and helping to locate it at sites of DNA damage. But SUMO doesn’t just help to move BRCA1 to the right place. Crucially, it also helps it do its job once it’s there. Among its many jobs, Dr Morris’s group found that BRCA1 sticks a small protein called ubiquitin (itself a close relation of SUMO) onto other proteins. This tags them for desctruction and it plays an important part in DNA repair – if the parts of BRCA1 responsible for this ‘sticking’ are faulty, DNA repair is harder and the risk of breast cancer rises. And BRCA1 can only start attaching ubiquitin if it has SUMO stuck to it. Dr Morris’s key finding was that SUMO, in effect, switches BRCA1 on. Just as size isn’t everything in Sumo wrestling, these tiny proteins could have a powerful impact on research into DNA damage and repair. We’ve previously written about PARP inhibitors – exciting new drugs that were discovered after extensive research into exactly how cells repair their DNA..
It’s safe to say that understanding more about the complicated and interconnected pathways involved in repairing our DNA will lead to further targets to be exploited by cancer drug developers – although this is just the first step along a very long road.